The cute and trendy hatchback, Punto is making a fresh appearance here in the Indian market and this beautifully crafted hatchback from one of the most trusted automaker in the world has got a new style. The Italian Car maker has been suffering a lot of late due to dip in sales of the Fiat cars and it was on the card. This car was launched in the global market somewhere around in early 90s but it made a late entry here in India in 2005, primarily as a replacement for the old uno and with the passage of time, it has evolved to be a premium hatchback offering the comfort and performance for which these cars are known. The new Fiat Punto price has to be kept at a higher range which starts from INR. 5 lac and scales up to INR 7.38 lac and the next version will be available at INR 6.5 lac. But for Grand Punto some extra grand have to be shelved from pocket as it is a sole variant with a more powerful engine which is available at INR 7.37 lac, the ex-showroom price as in New Delhi. Fiat Punto features has been awesome in the current version and the coming version is all set to extend it further. The hatchback is currently available in both petrol and diesel variant and the line is expected to continue in future as well. There five variants with diesel engine and three offering petrol version makes a good line up to choose from, the optional manual and automatic transmission makes it even better. It contains a 1248 cc engine in the Diesel variants throughout the line and those in petrol models vary accordingly. The powerful engine is capable of doing wonder with a 92 bhp of core power riding upon the 209 nm of torque when clocked at 2000 rpm. The mileage is somewhat identical throughout the line which is around 17 km per liter in city streets and it goes up by 3 km when on highways. The DOHC engine relies on turbo multijet diesel fuel which can clock it up to a max of 155 km per hour. The transmission is manual and it supports front wheel drive. There are disc brakes for the front wheels and the rear is a drum. Fiat Punto pictures have always been a cool thing and the style which reflects through these pictures along with the beautiful design, one work of world famous automobile designer Giorgetto Giugiaro, this one lives by the legacy of Fiat cars. The new model for the year 2013, has been in the process of being released here very soon. 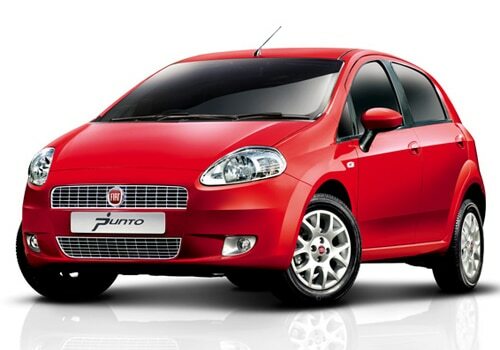 Last year Fiat Punto was launched in UK.